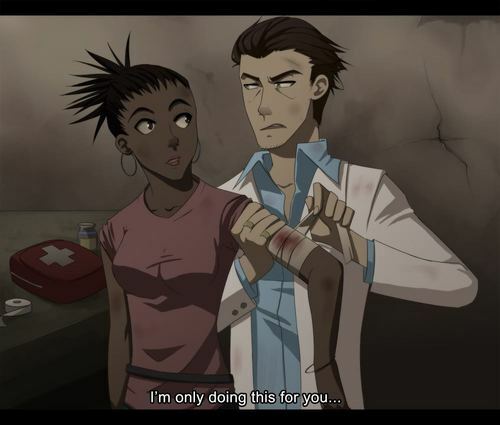 I'm only doing this for you.. Nick helping Rochelle with her wounds. ;). HD Wallpaper and background images in the left 4 dead 2 club tagged: l4d2 video games left 4 dead 2. This left 4 dead 2 photo contains anime, comic book, manga, and cartoon.